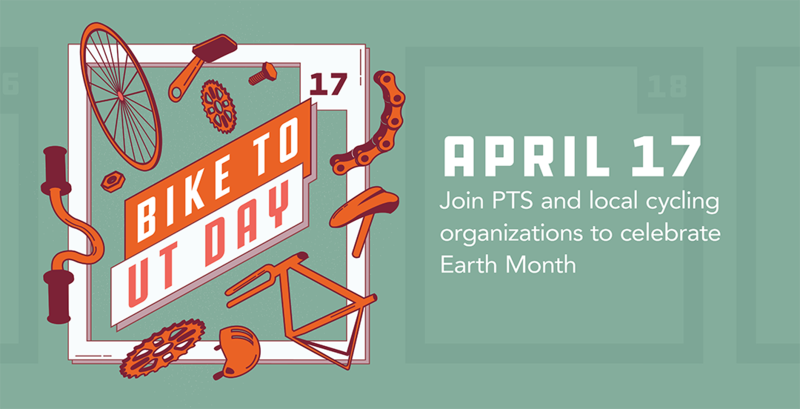 PTS will be hosting Bike to UT Day on April 17, 2019. To celebrate Earth Month and Bike to UT Day, PTS will be offering a light breakfast to cyclists on the main and PRC campuses on the morning of April 17 while supplies last. 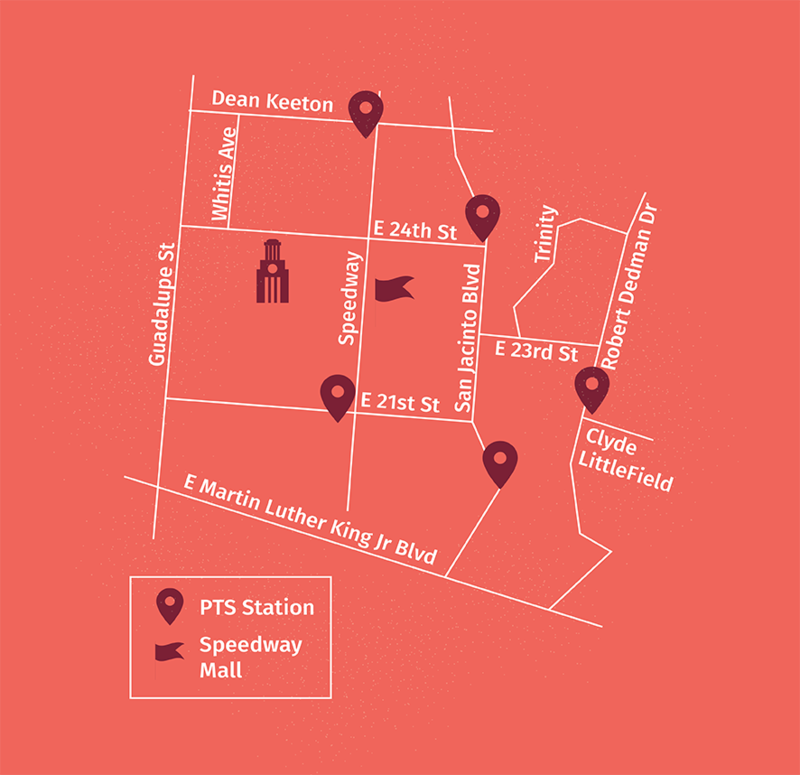 Later in the day from 10 a.m. to 2 p.m. on Speedway Mall, join PTS at Sustainability's Earth Month event to explore more information from BikeUT, Orange Bike Project, B-Cycle, and Capital Metro.